Hunland was established in 1992, and over the years we became a global industry leader in livestock export/import. Nowadays, Hunland is a multinational group of companies vertically integrated in a complete value chain of livestock and agricultural production, trading, transportation and consulting worldwide. 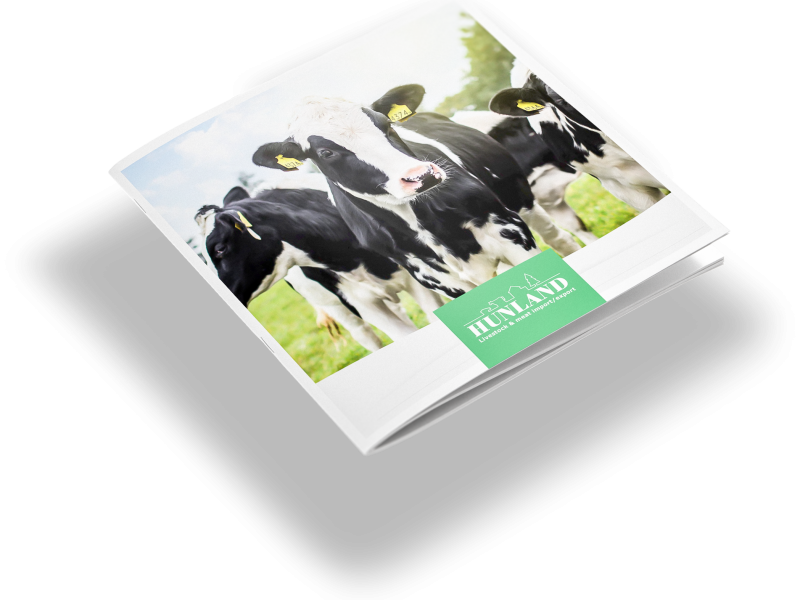 At Hunland we focus on animal welfare, on quality and on personal attention to clients. We offer comprehensive solutions combining individual approach to clients and professional supply of quality livestock. From its mere beginning, Hunland main operation had emerged and continue to develop in Hungary. With the modern office, state of the art stables and farms, and large fields with crops. From this central location Hunland maintains leadership in the Hungarian market as well as in other countries in Europe. In the heart of the traditional cattle breading area, next to the origins of the famous Holstein Friesian breed, our head office in The Netherlands is the central node of our breeding cattle trade worldwide. Combining the best knowledge with best practices of Dutch breeders and livestock traders, here we created a modern platform for breeding cattle trading worldwide. Putting market at the centre of our strategy, through our partner company in Russia we maintain local team of sales and operational managers. This allow us to stay close to our Customers and to guarantee reliable supply of breeding cattle, sheep and goats in Russian Federation, Belarus, Kazakhstan, Uzbekistan, Turkmenistan, Tajikistan, Kyrgyzstan, and Azerbaijan. USA is unique for its large stock of cattle mainly kept on open forage in and exposed to natural environmental conditions. Combination of high breeding values, natural husbandry and modern farming practices produce livestock with excellent adaptability. From this location we offer our clients to select from a large population of cattle, that serves the basis for a profitable operation of large and mega-farms worldwide. Since 2010, we continuously develop our presence in South American market. In Chile we created our own export infrastructure including farms and quarantine stables. From this location we provide supply of the highest health status breeding and fattening cattle on the whole South American continent. Abundant natural resources and other favourable conditions of north-central Europe have created a suitable platform for sustainable beef cattle farming. At this location we run our beef cattle breeding and fattening operation aimed to provide continuous supply of beef cattle mainly to the overseas markets.